Recently the Chief of Cape Three Points was asked by a visitor to outline the needs of his community. His answer was quick and unwavering – electricity for the village, and an accessible all weather road for the area. For some folks here in Ghana, the name “Cape Three Points” is synonymous with oil and riches, but for people like myself who frequently visit the village that gave the offshore oilfield its name, the name conjures up respect for the resiliency and good humour of its citizens. For far too long, they have been isolated from their share of the improving economics of the country because of the poor condition of the road which leads in and out of their area. 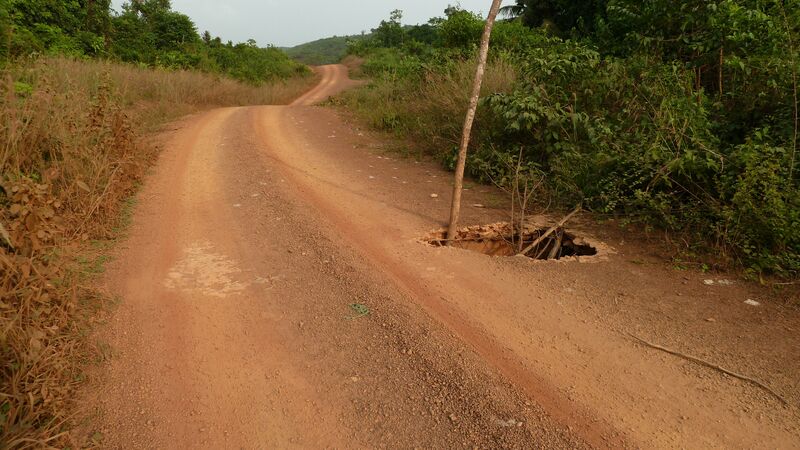 From where one leaves the pavement on the Agona/Dixcove branch, the dirt road is dusty and extremely rough in the dry season, and muddy and often impassable for anything other than the most robust four wheel drive vehicle when it rains. There are countless streams, lagoons and low lying areas to pass over and through on the way to Cape Three Points and just as many bridges of various types and in different states of repair. Any one of them could prevent someone from completing their journey in or out of the village, emergency or not. One of these bridges is no more than some logs straddling the banks of the stream with planks placed on top. 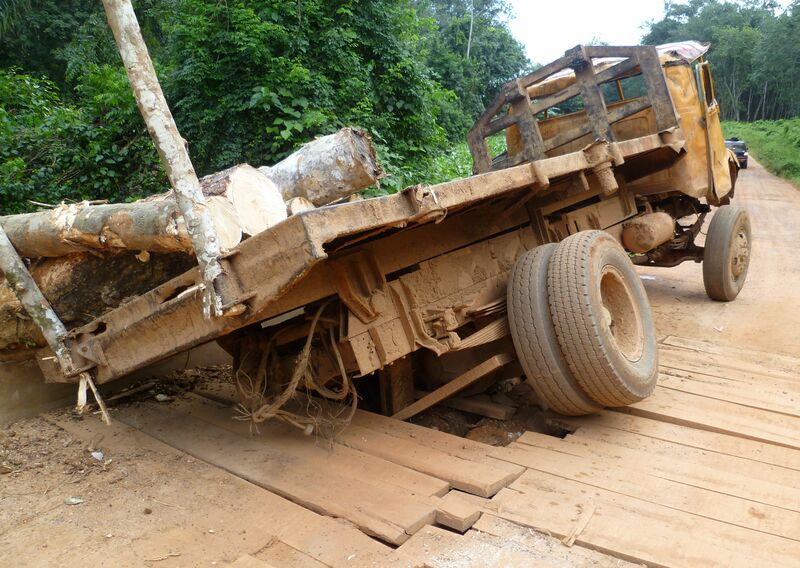 The planks have given out on several occasions (see photos above and below) and loaded trucks have fallen through, blocking the way until such time as the drivers find a way of getting them back on the road. The bridge is “repaired”, awaiting the next time that it is not capable of withstanding a load that crosses it, and the cycle is repeated. In a change of policy that is ostensibly intended to support and encourage tourism, the Government of Ghana moved routes which lead to important tourism destinations out of the Feeder Roads category into the Highways category. To date, that has done little to permanently improve to road to Cape Three Points even though the area is home to many tourist attractions including a forest that is unique enough to be categorized for its “Significant World Class Biodiversity”. Word reached the village this week that Highways is coming to grade the road and that will be most welcome, but it does not address the issue of bridges. 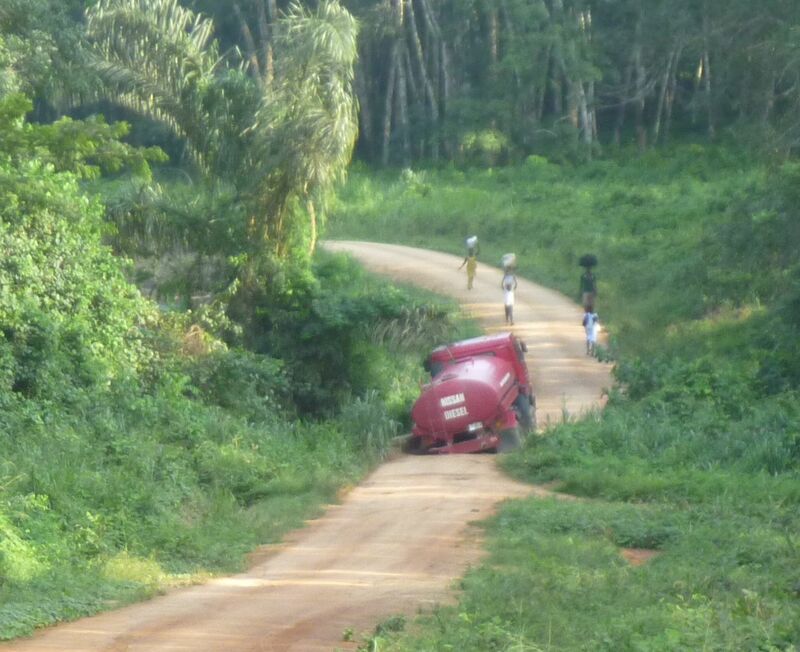 Fuel tanker stranded after breaking through the bridge planks... again! The issue of bridges on the road to Cape Three Points is not a new one. 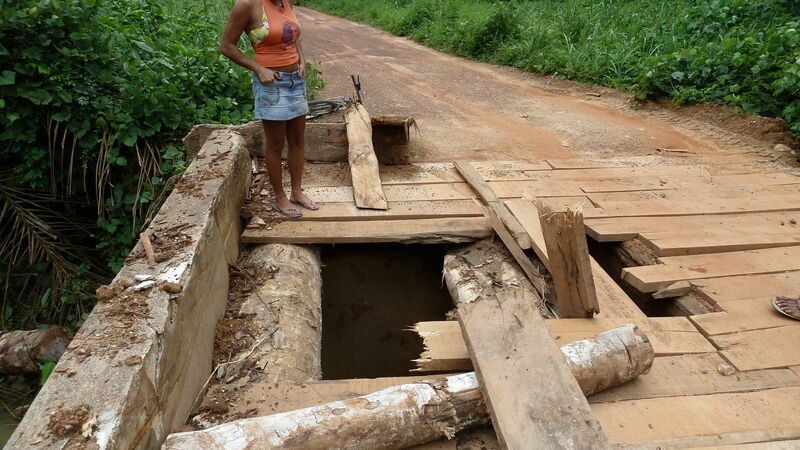 A couple years ago the news media carried a story about a bridge being “destroyed” by displeased youth from one of the villages on that road. 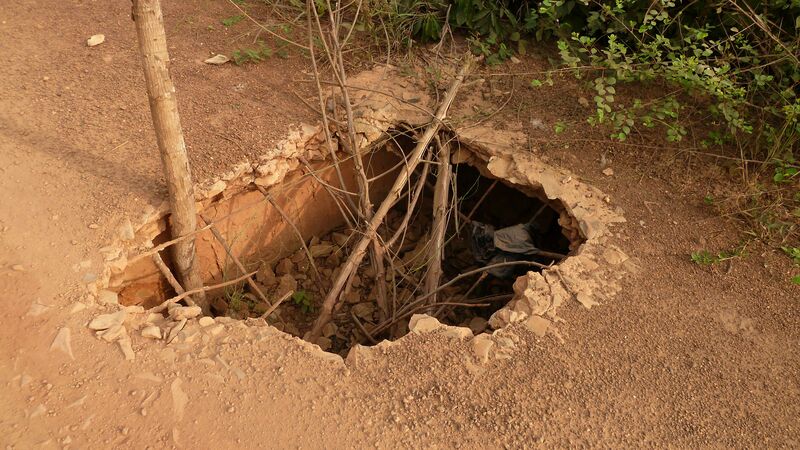 The media was not accurate in its portrayal of the circumstances – the bridge did not exist and the youth were doing their best to draw the attention of the public to the sorry state of affairs on their road and others in the area. 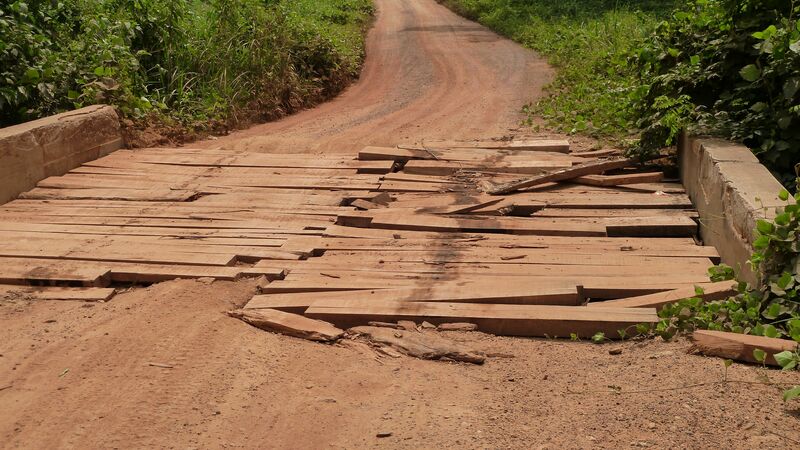 And in December a delegation of Chiefs from the Western Region met unsuccessfully with Parliament to discuss the need for improved infrastructure, including roads and bridges, for their area. The time is long overdue for the matter to be addressed in a meaningful way and for proper access be provided for the people and villages in the Cape Three Points area. December 15th 2010……a great day for Ghana. It was my younger sister’s -nth birthday (her being of a certain age, it would be wrong of me to state which particular birthday). Oh, and it was also the day that (and I quote from the Agricultural Development Bank’s advert in 20th December 2010 edition of the Daily Graphic) “Ghana joined the illustrious band of oil exporting nations….” [my emphasis] Full page, colour advert too! Illustrious? Does this illustrious band include Nigeria, Venezuela, Sudan, Angola, Gabon, Libya? Nations that… well, in my opinion, although having far greater reserves and having been exporters for far longer are not what I would call illustrious nations in terms of national and personal development. When one applies for a position, recruiters usually use one’s previous performance as a basis to determine whether one will be able to perform in the future. Based on this premise, I for one will not be celebrating Ghana’s entry into the so-called illustrious band. Why such pessimism? Apart from these resources, I think 7 of the 15 historic forts and castles are in this region. Some of the world’s finest beaches are also in the Western Region. Lets now add 97% of Ghana’s petroleum. What is my point, spouting off all these statistics and numbers? My point is simple really. Despite all the gold, cocoa etc, etc, the Western Region remains relative to resources GHANA’S most deprived region. Despite having all of the above how has this wealth translated to the well being of the people? 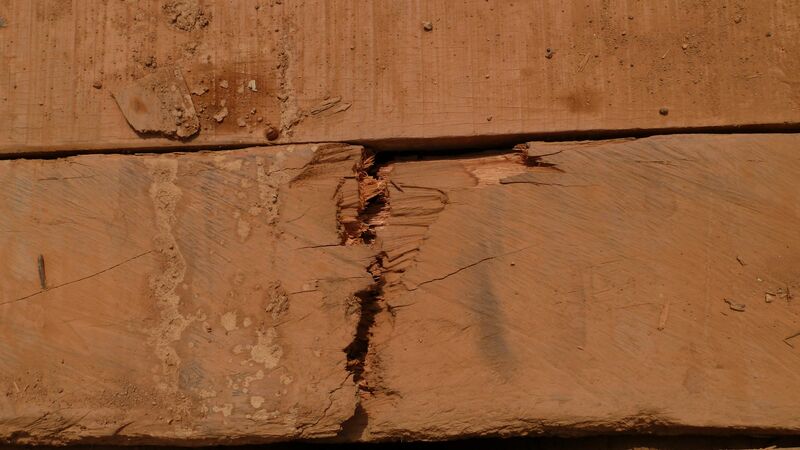 Tarkwa, Bibiani, Prestea, all gold mining areas, are some of the most deprived townsites. Agona, centre of the rubber plantations just the same. Enchi, Asankagra, cocoa producing areas, same. In fact the only sustained development in this region was during the governorship of Guggisberg, and even that was purely to ensure that the resources were accessible for export. In terms of income, oil will bring in $1bn per annum. As additional income that is welcome, but still some way behind gold, cocoa, international remittances and tourism. Apart from gold most of the supply chain is locally produced and managed. Oil? Nope. Local content bill? – we wait and see. 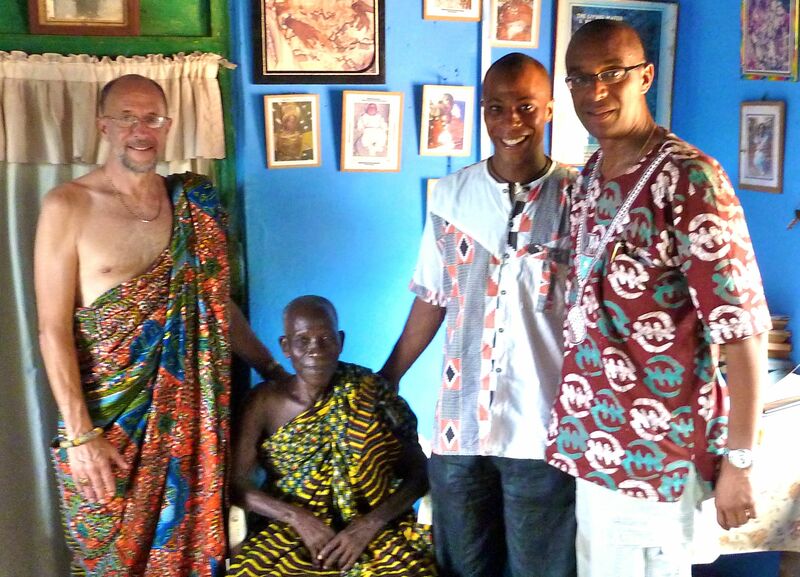 Festus Tumi publishes the magazine, “Destination Ghana” and the “Ghana Hotel Directory”. He is also a professional photographer.